Evolutionary Ecology, Reproductive Strategies, Demography, Evolutionary Foundations of Morality and Religion, Pastoral Nomads and Middle East. William Irons did his is doctoral research on the Yomut Turkmen, a group of pastoral nomads in northern Iran. He later returned to Iran for two more studies of the Yomut. The last study was an extensive demographic and economic survey which provided data very useful for evolutionary analysis. In 1976, he and Napoleon Chagnon organized a set of symposia on the use of behavioral ecology in anthropology for the 1976 annual meeting of the American Anthropological Association. These symposia led to the publication, in 1979, of a volume edited by Chagnon and Irons entitled Evolutionary Biology and Human Social Behavior: An Anthropological Perspective. This volume presented much of the earliest work in anthropology designed to evaluate evolutionary theories of behavior and culture. 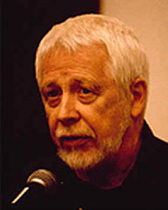 Since that date, Irons has continued to do research and publish on the use of evolutionary theory in anthropology, and recently a new set of symposia were organized at the 1996 annual meeting of the American Anthropological Association to show case progress over the twenty years since the first set of symposia in 1976. This led to a new edited volume, Adaptation and Human Behavior, edited by Lee Cronk, Napoleon Chagnon, and William Irons. This new volume commemorates the first volume and clarifies the progress make in what is now usually called behavioral ecological research in anthropology. Since 1983, Irons has been Professor of Anthropology at Northwestern University. Starting in 1991 he published a number of theoretical papers on the evolutionary foundation of morality and religion. President of the Human Behavior and Evolution Society, 2001-3. Fellow of the American Association for the Advancement of Science (elected 1980). Lifetime Achievement Award for the Study of Pastoral Nomads from the Commission on Nomadic Peoples, International Union of Anthropological and Ethnological Sciences, 2000. Human Behavior and Evolution Society: Lifetime Career Award, 2011. 2005. "How Has Evolution Shaped Human Behavior? Richard Alexander's Contribution to an Important Question." Evolution and Human Behavior 26: 1-9. 2004. "An Evolutionary Critique of the Created Co-Creator Concept" Zygon: Journal of Religion and Science. 39(4): 773-790. 2002 "Yomut Family Organization and Demography" in The Biological Anthropology of Pastoral Nomads, eds. W. Leonard and M. Crawford, pp. 251 - 279. 2001. "Religion as a Hard-to-Fake Sign of Commitment." in Evolution and the Capacity for Commitment. R. M. Nesse (ed. ), pp. 292 - 309. New York: Russell Sage Foundation. 2000. "Twenty Years for a New Paradigm" in L. Cronk, N. A. Chagnon and W. Irons, (eds.) Adaptation and Human Behavior, pp. 3 - 26. Hawthorn NY: Aldine De Gruyter. 2000. Adaptation and Human Behavior. Hawthorn NY: Aldine De Gruyter (Co-edited with L. Cronk, N. A. Chagnon). 512 pages. 2000. "Why Do the Yomut Raise More Sons than Daughters," in L. Cronk, N. A. Chagnon and W. Irons, (eds.) Adaptation and Human Behavior, pp. 223- 236. Hawthorn NY: Aldine De Gruyter. 1998. "Adaptively Relevant Environments Versus the Environment of Evolutionary Adaptedness." Evolutionary Anthropology 6(6): 194-204. 1996. "In Our Own Self Image: The Evolution of Morality, Deception, and Religion." Skeptic 4(2): 50 - 61. 1991. "How Did Morality Evolve?" Zygon: Journal of Religion and Science 26: 49-89. 1979. "Cultural and Biological Success," in Evolutionary Biology and Human Social Behavior: An Anthropological Perspective. N.A. Chagnon and W. Irons (eds. ), pp. 284-302. Duxbury.